Did we need another Superman origin story to grace our theaters just seven years after Bryan Singer’s attempt at ‘Superman Returns‘? While that particular film wasn’t so much a reboot as it was a sequel to the original ‘Superman 2‘, and its failure in its characters and story, maybe it was time to forget that ‘Superman Returns‘ existed and start from scratch. And with the super success of Christopher Nolan’s Batman trilogy and Marvel’s Avenger’s films, DC and Warner Bros. might want to take the same road to a Justice League film starting with ‘Man of Steel‘. 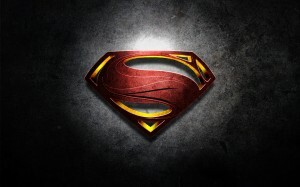 Zack Snyder has made the best film of his career with ‘Man of Steel‘. This reboot of one of the most beloved superheroes does an amazing job of re-telling the fall of Krypton, Kal-El’s (Henry Cavill) struggle with who he really is and where he comes from, and has some of the best action sequences I’ve seen in the last few years. With the heavy help of Nolan as a producer and writer on the film, along with a great cast, this will score big at the box office for weeks to come and might be one of the biggest summer blockbusters. The first twenty minutes takes place solely on Krypton as we see an incredible visual landscape of this far of world with new animals, futuristic buildings and spaceships hovering in the sky. Jor-El (Russell Crowe) realizes that his species and planet are about to meet an impending doom and informs the council of this unfortunate business. Meanwhile he and his wife have planned an escape route off their planet and have found a new planet to send their only son to survive and keep alive their race. However, the treacherous and murderous General Zod (Michael Shannon) has an evil plan of his own, which is stopped short, and is sentenced to eternity frozen in deep space with his cohorts. From here, we see an older Kal-El wandering from state to state performing a wide variety of odd jobs from working on a fishing boat to an oil rig, to even cleaning tables at a local dive-bar. As he walks from place to place, we see flashbacks of him growing up in Kansas with his adoptive father (Kevin Costner) and mother (Diane Lane) who try to provide a normal life for the boy that crash landed on their rural farm. Kal-El starts to show signs of who he is as a young boy from using his X-Ray vision at school, to lifting a school bus full of kids from sinking to the bottom of a lake. From that particular incident, Pa Kent has an emotional talk with his son and shows him the capsule he arrived him and tells him “You’re the answer to whether we’re alone in the universe.” He even goes further to say that the people of Earth might not be ready for him and to keep his abilities a secret. In the meantime, respected reporter Lois Lane (Amy Adams) learns about a big story about a large object that has been buried underground for thousands of years, and travels with the military to do a story piece on this phenomenon. Kal-El disguises himself as a crew worker on the site and finds himself in this object where his father Jor-El appears and teaches his son the Kryptonian history, their family, and reveals his red and blue suit. After a few lessons in flying, General Zod and his minions rear their ugly head on Earth and out Kal-El. They demand he be turned over to them or else their world will be destroyed, but they have secret plans of their own. Up until this point, we have received an amazing character piece on the son of Krypton and his family, complete with epic action beats around every corner. But now, Snyder turns the action to eleven as we get an explosive street brawl between Kal-El and Zod and his troops on the streets of Smallville that escalates to even something bigger in Metropolis. To say this movie is action-packed is an understatement. Between its fights in the air, on the ground, and in between buildings, Snyder and Nolan still manage to pack enough character development and an amazing and witty rapport between Lois Lane and Kal-El. If you had any doubts of Cavill filling Christopher Reeve’s shoes, you can lay those to rest. Cavill is perfect for Superman. After viewing, not only did I know for a fact that there could be nobody else but Cavill to play this role, but I saw glimpses of Reeve’s charm and power in Cavill constantly. Cavill is going places from here on out. Costner pulls an amazing and emotional role as Kal-El’s adoptive father, and could garner an award for his performance here. I’m glad he left Tarantino’s ‘Django Unchained‘ for this movie. Diane Lane does a phenomenal job here too, showing an unconditional love for her son, no matter what danger comes her way. Then there is Amy Adams as Lois Lane. Finally, someone made Lois a real character who can handle her own. Not once, did she really need the help of Superman, as she could use a gun and stand up for herself. She was bold, funny, and very likable. I like where her character is going. 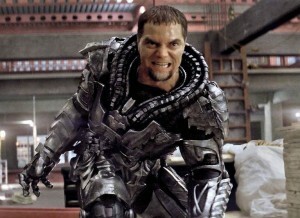 Michael Shannon is amazing as Zod, almost to a frightening degree. His anger and facial expressions could literally scare small children for weeks. He is also the perfect Zod. Harry Lennix, Christopher Meloni, and Laurence Fishburne turn in solid cameos as well. Hans Zimmer provides the score, and while I do sorely miss John Williams’ epic music, this one is strong and packs enough punch to enjoy and further the suspense and emotions in each scene. It would’ve been nice though to hear a small portion at some point during the film. Also, I was surprised there wasn’t a tease at the end for a sequel or a Justice League movie. I was hoping that DC would follow in the footsteps of Marvel for this, but this time around they didn’t. 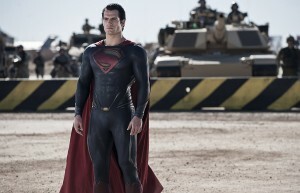 ‘Man of Steel‘ is everything we have wanted in Superman remake. From the action to the dialogue to the characters, everything works on all levels. This is a great start to something bigger in the future and I highly recommend everyone to see this the first chance they get. This entry was posted on Wednesday, June 12th, 2013 at 4:04 pm	and is filed under Comics, Film, News. You can follow any responses to this entry through the RSS 2.0 feed. You can skip to the end and leave a response. Pinging is currently not allowed. « The Quick and Dirty with Claire on ‘This is The End’!!! [indicating Frank] My brother and me are hardly on speaking terms these days. [pulls two snakes out of a box, startling Bob] You scared? They aren't as succulent as I like and they're the devil to clean but if a man skins them and fries them in garlic and oil-mercy, thems good eating. Well, I've never been that hungry. Such as enemies. I give them the names of enemies.